Over time Intel found itself in a familiar situation — the company was selling commodity memory chips into a distressed market at a loss. Intel had faced this issue before in the SRAM, DRAM, EPROM, EEPROM, and NOR flash markets, and had exited all of them to focus on its more consistently-profitable processor market. To extract itself from this predicament a new agreement was formed in which Intel sold its interests in future Singapore fabs to Micron. Intel then slowly exited the NAND flash chip market and used the output from its Micron JV to build SSDs. Abruptly, in 2015 Intel jumped back into the NAND flash manufacturing business by re-tooling its core logic wafer fab in Dalian China to produce 3D NAND. The company still wanted to sell NAND flash as SSDs, not as stand-alone chips, but it had a plan. The Lehi, Utah fab that was supplying all of Intel’s NAND flash chips would be converted to the manufacture of 3D XPoint Memory. Meanwhile, the conversion of the Dalian fab was certain to please government authorities in China. Micron and Intel are still partners, and they are working together to produce a lot of 3D XPoint Memory, but the Lehi fab, which was the only IMFT facility producing NAND at cost for Intel, is now manufacturing nothing but 3D XPoint Memory. All of Intel’s captive NAND flash production comes from its own Dalian fab. Although this appears to be a sudden move, these JV partners have clearly been discussing it for some time. The relationship has been proceeding according to a well-formulated plan. From the perspective of everyone involved there should be little change: Micron still produces NAND flash at its two Singapore fabs and in Manassas, Virginia, Intel is still ramping its Dalian, China fab, and the two companies’ customers are unlikely to see any change in availability. As for 3D XPoint Memory, that’s a different agreement, and it appears that both Intel and Micron will continue to work together to aggressively ramp that technology over the course of the next year or two. 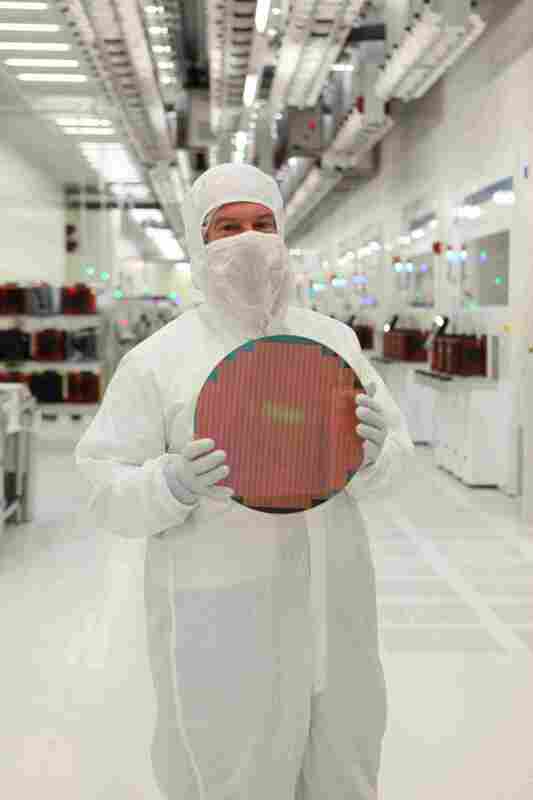 By the way, that photo is of me in the IMFT Lehi, Utah fab in 2010, holding a wafer of 25nm planar NAND chips, the leading edge process of its time! 1. 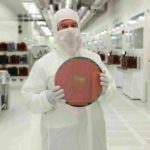 Microns flash production contracts with Intel end 2018 and 2019. They didn’t sign a new contract (yet?) so it’s suspicous. 2. Intel is losing money with it’s storage business even during the best of times (now!). they are burning money with NAND for a long time now. 3. Intel is paying Micron crazy money for Micron’s share of IMFTs output. Look at Microns last 10Q and you will see a big jump in their “other” segment’s operating profit for 1Q18 that consists of “sales of NOR and trade 3D XPoint products”. “Trade” 3D XPoint is Micron’s IMFT share. Intel in Q4 of last year reported profitability for the NVM group this year. Rob Crooke, Intel’s NVM guy also stated they expect general profitability for the whole year, including 3D XPoint based lines. Since Dalian is now Intel’s captive 3D NAND fab and Micron continues to pursue 3D NAND as well, does this mark a fork in the road for FG 3D? Do you think the two will diverge, with respect to the physical architecture? There is definitely a fork in the road. The Intel-Micron relationship is being dismantled, and so far Intel has made no comments to indicate that they will stop making 3D using their floating gate (FG) approach, while Micron has clearly stated that they are moving to a charge trap. For a long time I have shared my belief that all manufacturers will converge on a single 3D NAND approach. Toshiba’s BiCS now uses TaNOS like Samsung’s, and now Micron is going to a charge trap. It may take a few years, but I still expect everyone to eventually use very similar processes. It looks like that will be a charge trap, and it’s likely to be TaNOS.